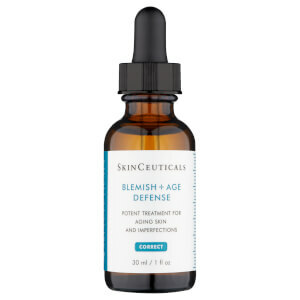 Replenish your complexion with the SkinCeuticals H.A. Intensifier; a corrective, multi-functional serum infused with a high concentration of Pure Hyaluronic Acid to firm and plump skin. 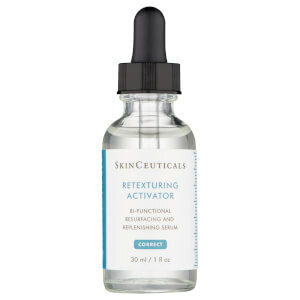 Hyaluronic Acid is a powerful natural humectant that helps to regulate moisture levels in skin. 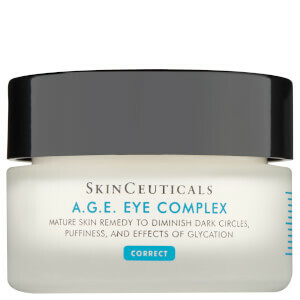 During the ageing process, skin experiences a gradual decline in Hyaluronic Acid levels as production starts to decrease. Fortified with 10% Proxylane™ (a patented molecule) and botanical extracts of Liquorice Root and Purple Rice, the lightweight, quick-absorbing formula delivers long-lasting hydration, whilst providing toning and tightening benefits to promote a smoother, more refined complexion. 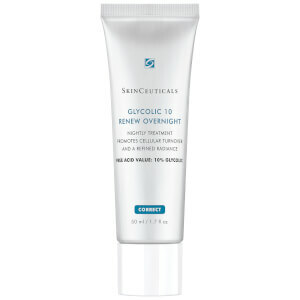 Helps to minimise the appearance of crow’s feet, nasolabial folds and sagging skin for improved texture and elasticity. Features a pipette applicator. Aqua / Water / Eau / Cyclohexasiloxane / Glycerin / Alcohol Denat. / Hydroxypropyl Tetrahydropyrantriol / Propylene Glycol / Dipotassium Glycyrrhizate / Polysilicone-11 / Polymethylsilsesquioxane / Sodium Hyaluronate / Dimethicone / Tocopherol / Phenoxyethanol / Capryloyl Salicylic Acid / Octyldodecanol / Bis-Peg/Ppg-16/16 / Peg/Ppg-16/16 Dimethicone / Peg-20 Methyl Glucose Sesquistearate / Ammonium Polyacryloyldimethyl Taurate / Caprylyl Glycol / Xanthan Gum / Dextrin / Oryza Sativa Extract / Rice Extract / Disodium Edta / Caprylic/Capric Triglyceride / Sodium Hydroxide / Adenosine / Citrus Nobilis Peel Oil / Mandarin Orange Peel Oil / Limonene / T-Butyl Alcohol / Cellulose Acetate Butyrate / Polyphosphorylcholine Glycol Acrylate / Polyvinyl Alcohol / Sodium Chloride / Butylene Glycol / Pentaerythrityl Tetra-Di-T-Butyl Hydroxyhydrocinnamate.